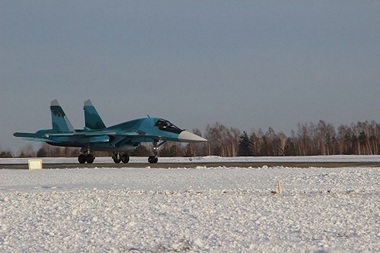 A pair of Su-34 frontline bombers took off from the airfield of the Sukhoi Company's branch - Novosibirsk Aircraft Plant, and headed to the place of their deployment at one of the aircraft bases of the Russian Air and Space Forces. Today's delivery of the Su-34s signifies the fulfilment of the State Defence Order 2015 on those aircraft. The Sukhoi Company also handed over two aircraft above the initial plan. They will fly to the place of deployment in the coming days. It should be noted, that in 2014 the aircraft plant also exceeded the yearly production plan of the Su-34s. 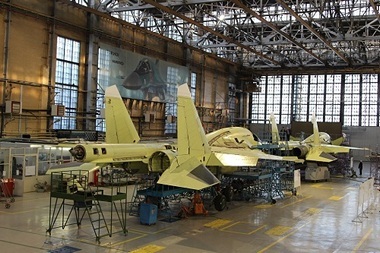 The Novosibirsk aircraft plant operates with a high efficiency. The State Contract with the Ministry of Defence of the Russian Federation for the Su-34s supplies to the Russian Air and Space Forces up to the year 2020 guarantees a stable work load of the plant for the coming years and identifies its long-term development prospects. Currently, Su-34s operate successfully in the military and demonstrate high performance. The French Defence Procurement Agency (DGA) has ordered seven additional Tiger HAD attack helicopters, bringing to 67 the total number of Tigers that will eventually be operated by the French Army Aviation. The additional Tigers will be delivered in 2017-2018. 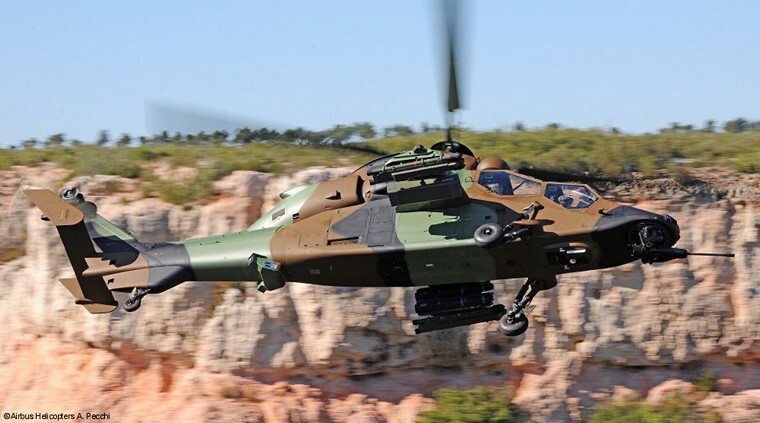 "The French Army Aviation has put the Tiger to the test in multiple theatres and the aircraft has proved essential to the success of their missions," explained Guillaume Faury, President and CEO of Airbus Helicopters. "This additional order for seven Tiger HAD is a clear indication of its performance and we are proud to be able to support the French armed forces in their most demanding operations," he added. With its flat and narrow silhouette the Tiger HAD's advantages include low detectability, low vulnerability, high survivability, high agility and manoeuvrability making it the attack helicopter best adapted to both symmetric and asymmetric battlefields with unique capabilities whether for air-to-ground or air-to-air combat. 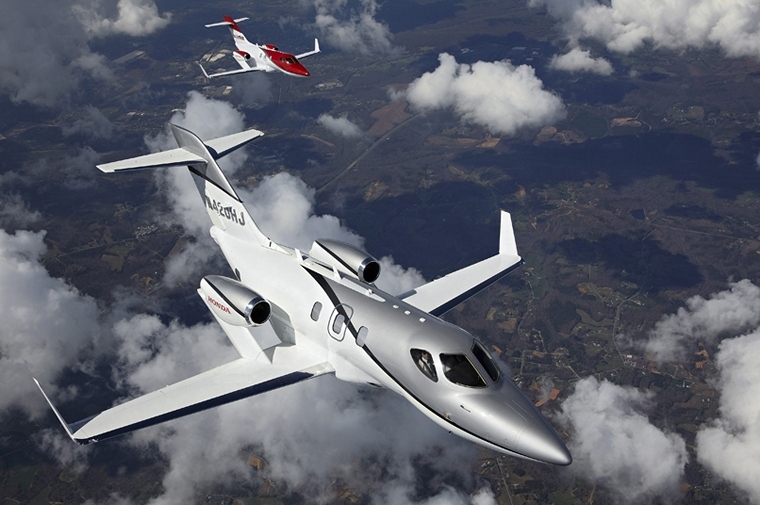 Honda Aircraft Company today announced it has begun deliveries of the HondaJet, the world's most advanced light jet. The company delivered the first aircraft today at its world headquarters in Greensboro, North Carolina. This milestone follows final type certification from the Federal Aviation Administration (FAA), which the HondaJet received on Dec. 8. "We are very excited to commence deliveries of the HondaJet, fulfilling Honda's commitment to advancing human mobility through innovation," said Honda Aircraft Company President and CEO Michimasa Fujino. "Honda Aircraft has now extended this commitment skyward with the delivery of our first aircraft, and I hope we soon will begin to see many HondaJets at airports around the world." Honda Aircraft Company is manufacturing the HondaJet at its world headquarters in Greensboro. The aircraft is offered for sale in North America, South America and Europe through the HondaJet dealer network. 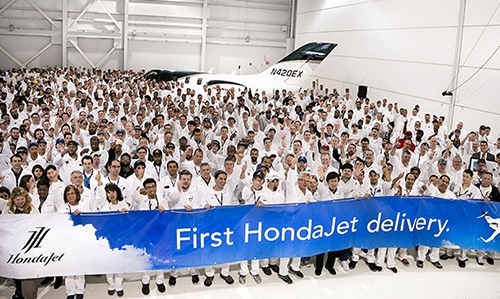 To support HondaJet customers, Honda Aircraft has established a robust worldwide dealer network in 11 territories. HondaJet dealers are ready to support aircraft entry into service, together with a 90,000 square-foot customer service facility in Greensboro to support the dealer network with heavy maintenance, repair and overhaul capabilities. Pilot training is already being conducted for HondaJet customers with a full-motion, Level D flight simulator installed at the Honda Aircraft Training Center in Greensboro. The HondaJet is the world's most advanced light jet, with revolutionary technology and design innovations-including the Over-The-Wing Engine Mount design-that help it achieve the highest speed, superior fuel efficiency, and a more spacious cabin over conventional aircraft in its class. Airbus Helicopters' customer centre in Brazil, Helibras, has delivered three additional H225M to the Brazilian Armed Forces. Two are destined for the Brazilian Army and the third for the Brazilian Air Force, bringing to seven the total number of H225M delivered to Brazil in 2015. These three aircraft are the first in their operational configuration for the Air Force and the Army. In addition to the systems included in the versions delivered previously to the Armed Forces, these new specially-equipped H225M will provide the Brazilian forces greater security to carry out search and rescue missions in hostile territories (C-SAR). Their new equipment includes an electronic countermeasures system, integrated into the H225M by Brazilian professionals and flight tested locally by pilots of both Helibras and the Brazilian Air Force. The operating configuration also incorporates certain features that increase the helicopter's range, such as an additional fuel tank at the rear of the cabin and the presence of an in-flight refuelling system (REVO). The REVO allows the H225M to be supplied by another aircraft during a mission without the need to land or interrupt the flight. It is expected that the system will be used in a flight campaign to be held in 2016, in another collaboration between Helibras, Airbus Helicopters and the Brazilian Air Force. "The delivery of the operational versions is a big step for Helibras," said Richard Marelli, recently nominated as the new president of Helibras. "This phase of the program was quite a challenge for our engineering teams, who had to integrate complex systems, such as the in-flight refuelling system, currently available only in three other countries. I believe that the achieved result further qualifies our company and serves as proof of our technological and innovative capacities." Like all Brazilian H225M, these three new aircraft can be operated using night vision goggles (NVG). 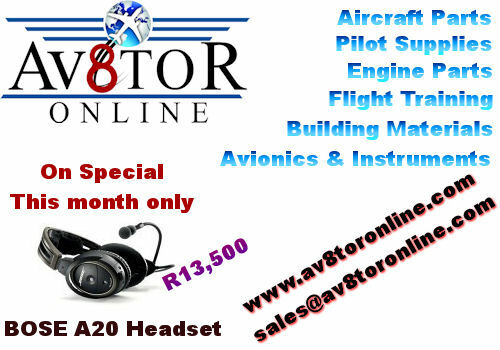 Pilots can receive training for this equipment thanks to the Full Flight Simulator at the Helibras Training Center in Rio de Janeiro. With this delivery, the three armed forces have received 22 aircraft of the total of 50 units included in the contract. The 28 remaining aircraft are to be delivered by 2022. Lockheed Martin will deliver 78 C-130J Super Hercules to the U.S. government through a C-130J Multiyear II contract, which was announced by the U.S. government on Dec. 30, 2015. The Department of Defence announced the award of more than $1 billion in funding for the first 32 aircraft of the Multiyear contract. The overall contract, worth $5.3 billion, provides Super Hercules aircraft to the U.S. Air Force (30 MC-130Js, 13 HC-130Js and 29 C-130J-30s) and the U.S. Marine Corps (six KC-130Js). Also through this contract, the U.S. Coast Guard has the option to acquire five HC-130Js. Aircraft purchased through the multiyear contract will deliver between 2016 and 2020. "We are proud to partner with the U.S. government to continue to deliver to the U.S. Air Force, U.S. Marine Corps and U.S. Coast Guard the world's most proven, versatile and advanced airlifter," said George Shultz, vice president and general manager, Air Mobility & Maritime Missions at Lockheed Martin. 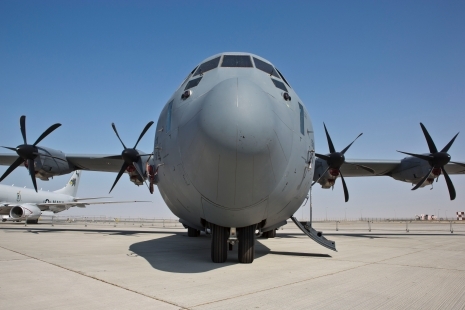 "This multiyear contract provides true value to our U.S. operators as they recapitalize and expand their much-relied-upon Hercules aircraft, which has the distinction of being the world's largest and most tasked C-130 fleet." Constructed in alignment with the U.S. government's Better Buying Power initiative, this contract provides significant savings to the U.S. government through multiyear procurement as compared to annual buys. EAA AirVenture Oshkosh, the 64th annual Experimental Aircraft Association fly-in convention known as the World's Greatest Aviation Celebration, is July 25-31 at Wittman Regional Airport in Oshkosh, Wisconsin. The Snowbirds are currently scheduled to have a public practice over the grounds on Friday, July 29, with full performances as part of the daily afternoon air show on Saturday and Sunday, July 30-31. The Snowbirds, officially designated as 431 Air Demonstration Squadron, were created in 1971 and have a nearly 40-year connection to EAA, as they were the first military team to perform at Oshkosh when they flew over the EAA fly-in in the 1970s. They have not appeared at Oshkosh since 1983, as their primary schedule commitment each year is to Canadian air shows. "It is truly thrilling to have the Snowbirds schedule an appearance at Oshkosh for the first time in more than 30 years, and we can now begin working through the logistics necessary to support the team," said Rick Larsen, EAA's vice president of communities and member services, who coordinates AirVenture features and attractions. "Longtime EAA members and Oshkosh attendees speak fondly of the elegant precision aerobatics that the Snowbirds brought to the EAA fly-in, and have often asked when they would return. 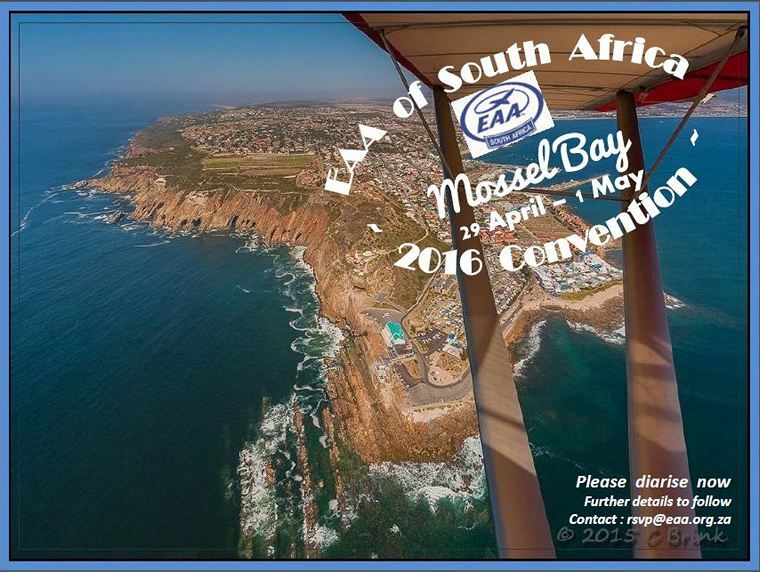 We were very happy to discover that EAA AirVenture 2016's dates and the Snowbirds' schedule availability aligned and we could welcome them back to aviation's family reunion at Oshkosh." 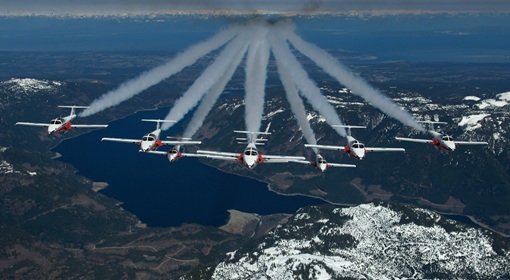 The Snowbirds fly Canadair CT-114 Tudor jets in approximately 60 air shows each year. The nine aircraft used in the performances are piloted by experienced team members from the Royal Canadian Air Force. During the show, the pilots fly at speeds ranging from 110 to 465 mph (180 to 750 km/h) and in formation with distances as close as 4 feet of wing overlap. Comprised of exciting loops, rolls, and solo passes as well as graceful nine-jet formations, the Snowbirds' show includes more than 50 different formations and manoeuvres over each 35-minute performance. India, New Delhi: A Lucknow-bound Air India flight with 160 passengers on-board was forced to return to IGI airport in New Delhi after being airborne for over an hour following cracks in the aircraft's windshield. 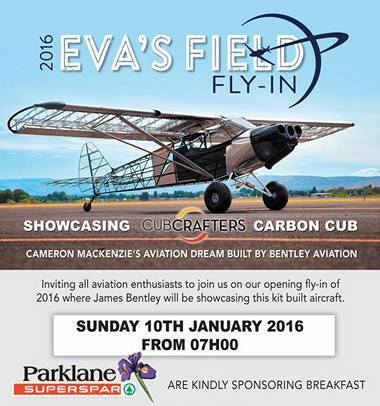 The aircraft landed safely and passengers were deplaned and later flown to their destination in another aircraft. USA, Bob Hope Airport: An Oakland-bound Southwest Airlines plane was pushing back from Gate A1 when it struck another Southwest plane parked at an adjacent gate. No injuries were reported in the accident but the crash disrupted travel plans for about 225 passengers who later placed on other flights. Indonesia, Yogyakarta: A KAI T-50 Golden Eagle, a U.S.-South Korean-made light attack aircraft, spun out of control and crashed into an air force base complex near Adi Sutjipto Airport in Yogyakarta. The trainer aircraft is one of 16 similar models bought by the Indonesian air force last year. The crash occurred on the second day of an air show celebrating the 70th anniversary of the Air Force Flight School in Yogyakarta. The pilot and co-pilot - both Indonesians - died instantly. India, Dwarka: A chartered Beechcraft King Air carrying members of the border patrol force security Force hit a wall, caught fire and crashed in a field outside the airport. More than a dozen fire engines and emergency workers have been rushed to the spot to douse the blaze. None of the 10 on-board survived. Fiji, Treasure Island: Seven passengers were lucky to escape with their lives as a Eurocopter crashed as it attempted to land. A gust of wind apparently sent the Eurocopter, owned by Island Hoppers Limited, into a tree. Witnesses report that all on board walked away from the scene. Mexico, Mexico City: A Cancun-bound Aeromexico Embraer ERJ-190LR made a safe emergency landing in the Mexican capital after a portion of one of its engine covers came off. No injuries were reported. USA, San Miguel County: a Hawker Beechjet 400 registered in Mexico carrying five passengers and two crew crashed into a snowplough while trying to land at the Telluride Regional Airport. The county sheriff's office says the airport was closed at the time for snow removal and that the plane's pilot apparently did not radio operators before heading in. Although the plane struck the snowplough at an estimated speed of 100 mph no one, including the snowplough operator was injured. Democratic Republic of the Congo, Mbuji-Mayi : At least seven people have been killed in the Democratic Republic of the Congo after an Airbus A310 belonging to Services Air overshot the runway at an airport and ploughed through a residential area near the airport and striking several homes. The accident followed two failed landing attempts, after which the aircraft landed in the middle of the runway and was unable to stop in time. 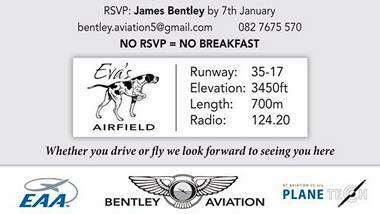 As a result, the plane overshot the runway and came to a stop about 500 meters (546 yards) beyond the end of the runway. All of the deceased lived in homes near the airport. The four crew members who were on board the cargo plane escaped without injury. January 7 1967 - Entered Service: SR-71 Blackbird with the US Air Force. January 9 1793 - First balloon flight in North America is made by Frenchman Jean-Pierre Blanchard, ascending from Philadelphia, Pennsylvania and landing in Deptford, Gloucester County, New Jersey. January 10 1982 - A Gulfstream III, Spirit of America, flies around the world in just 43 hours 39 min and 6 seconds, becoming the fastest business jet to fly around the world. January 10 1954 - BOAC Flight 781, a de Havilland Comet flying from Rome to London on the last leg of a flight from Singapore, disintegrates in mid-air, when metal fatigue from repeated pressurization cycles compromises the fuselage, killing the 29 passengers and six crew. January 11 1911 - First landing by an airplane on a ship: Eugene Ely in a Curtiss pusher on a temporary platform aboard armored cruiser USS Pennsylvania. 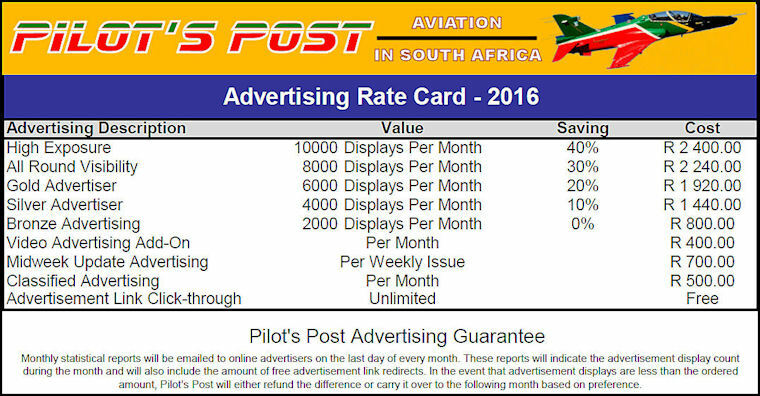 January 11 1902 - Inspiration for many an aviator and plane-spotter, Popular Mechanics magazine is published for the first time. January 12 1991 - U. S. Army/McDonnell Douglas Helicopter Systems AH-64 A Apache combat helicopters fire first shots of Operation Desert Storm in the Persian Gulf War. McDonnell Douglas F-15 Eagles and F/A-18 Hornets claim the first aerial victories of the conflict with ten enemy aircraft downed in the first day. January 12 1935 - Amelia Earhart becomes the first woman pilot to fly solo between Hawaii and the USA. She took off from Wheeler Field, Oahu, Honolulu, to fly her Lockheed Vega across the eastern Pacific to Oakland, California. Earhart lands after 18 hours 15 min. January 12 1916 - German aces Max Immelmann (born in South Africa) and Oswald Boelcke, with 8 kills, are the first pilots awarded with Pour le M�rite ("the Blue Max").